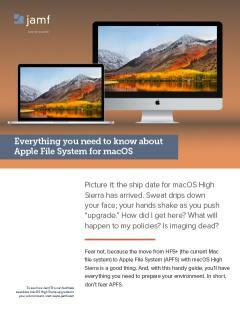 The latest iteration of the Mac operating system is all about refinement and performance. Similar to Snow Leopard or Mountain Lion, macOS High Sierra improves upon Sierra mainly by adding performance under the hood. A new file system is the crowning achievement and brings some amazing features for end users like space sharing, snapshots and cloning. For IT admins, this also brings up new challenges when it comes to imaging. We could spend this entire blog talking about APFS but instead, get all of your Apple File System (APFS) questions answered in our new white paper. 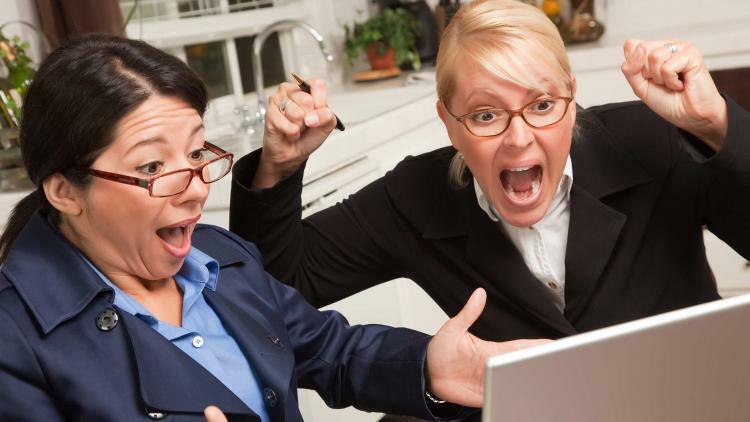 So much software and so little time! Thankfully, we’ve prepared some great content to help you get ready and roll out a successful upgrade when the time comes. Need to know how APFS impacts your imaging workflows? Want to outline your options for deploying macOS High Sierra? Looking to use the new MDM configurations for iOS 11 and see what you can do with Apple TV? 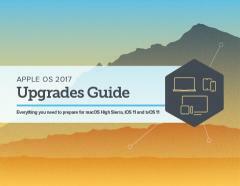 Then our Apple OS Upgrades Guide is right for you. This guide offers answers to many of your upgrade questions and provides step-by-step guidance so you can make this upgrade season your best one yet.